86motoring | 86motoring – by eight-six enthusiasts, for eight-six enthusiasts. 86motoring is proud to announce the release of its Lightweight Pulley Kit for the FA20 powered Scion FR-S and Subaru BRZ. Kit number 86M20100 includes three lightweight pulleys: crankshaft (86M20086) pulley, water pump (86M20025) pulley, alternator (86M20022) pulley. 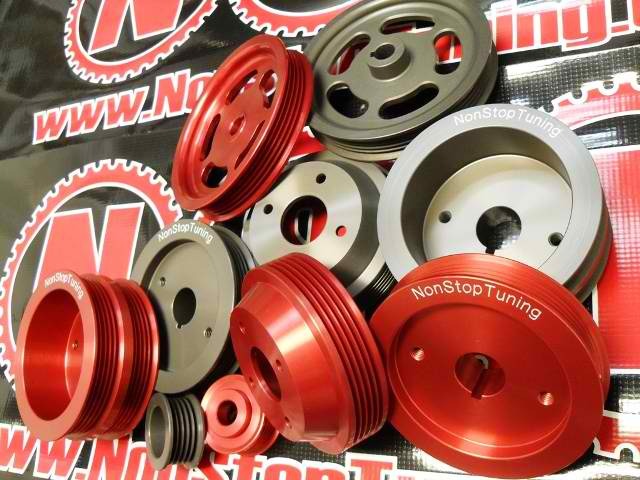 Pulleys can be purchased as a full kit or separately, from the 86motoring online store. The 86motoring FA20 kit is approximately 75% lighter than the OEM Scion/Subaru pulleys it replaces and is available in a choice of colors: Black. Blue. Gold. Purple. Red. 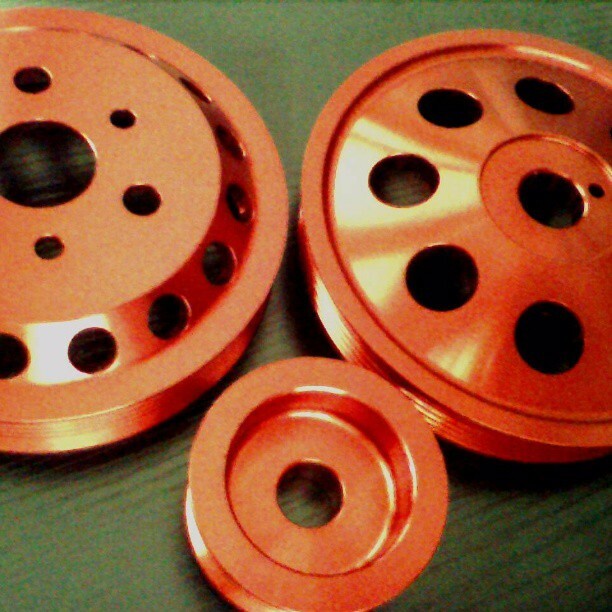 Crank pulleys, attached to the outside of the crankshaft, are the source of power for a car’s accessories. The alternator, power steering, water pump, and air conditioner are all belt driven units, attached to the crank pulley, that use horsepower from an engine to provide their own services. 86motoring lightweight aluminum pulley systems increase an engine’s response by reducing the power required to drive the engine accessories. Normally, 86motoring lightweight pulleys will increase engine output by 8 to 10 horsepower, with even better power levels yielded from turbo/supercharged models than seen in naturally aspirated engines. 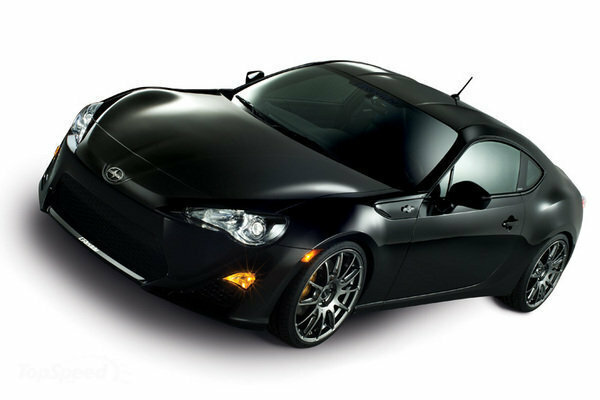 This increase results in quarter-mile time improvements of .20 to .25 seconds, easily making this modification one of the best “bang for your buck” modifications for the Scion FR-S and Subaru BRZ. 86motoring pulleys for the FR-S/BRZ are constructed of aircraft quality aluminum, making them extremely durable while at the same time much lighter than their steel OEM counterparts. This weight reduction (apx 75%) results in less rotating mass on the engine’s crankshaft which drastically increases the engine’s ability to rev up to speed faster. Better throttle response, better horsepower and torque delivery, and better fuel economy can all be had when using 86motoring pulleys. Item Number 86M20100: 3pc Pulley Kit: Crank, Water Pump, Alternator. Available Colors: Black. Blue. Gold. Purple. Red. Readers Rides. Submit your 86! 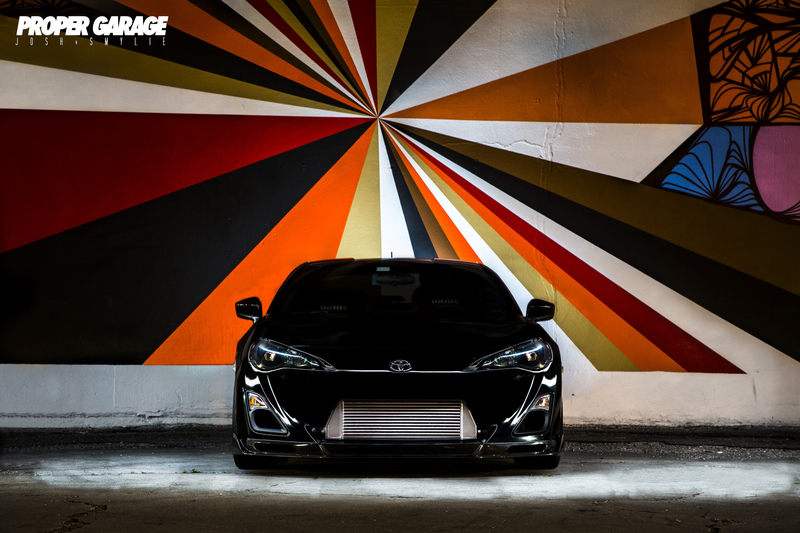 Want to see your car featured on the 86motoring blog? Send in a few photos of your car along with a brief history of your AE86, FR-S, or BRZ and we just may use it for a feature story! Be sure to include your address and phone number with your email. If selected, you will receive a goodie bag filled with prizes. History of car, owner, etc. Five rounds of the 2013 Formula Drift season are in the books. Here is a look at some of our favorite shots of Will Parsons’ NonStopTuning / 86motoring Toyota AE86. Enjoy! 86motoring is proud to announce a partnership with Will Parsons and his AE86 Toyota Corolla for the 2013 season. Parsons has driven one of the most competitive AE86 chassis over the past few seasons and has been a staple of the pro-am drift series in the USA including, FD PRO-AM, Xtreme Drift Circuit, and D1GP USA. 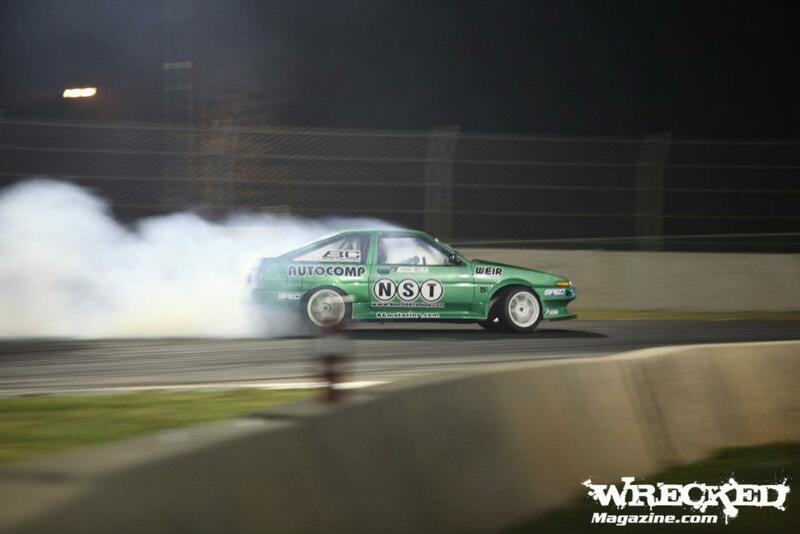 Parsons will campaign an all new AE86 chassis with a custom F20 turbo setup in the 2013 Formula Drift Series. We are excited to offer product and logistics support to Parsons and his team and look forward to an exciting season! Most Iconic 86 Drift Cars? Maybe! 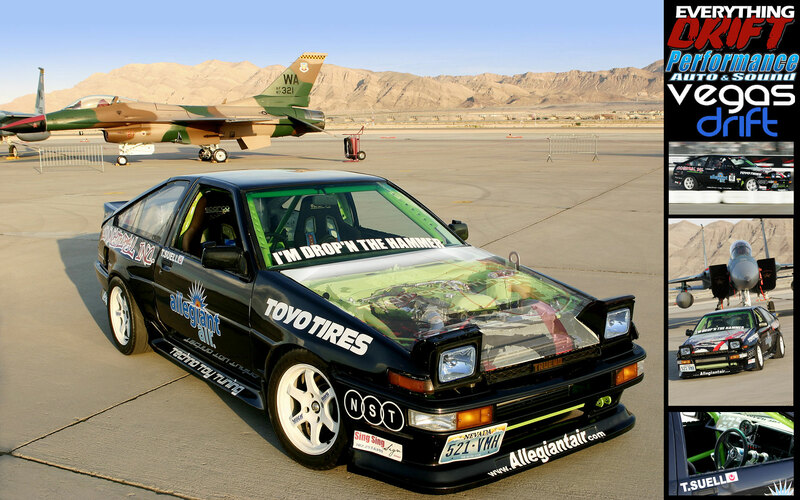 A quick Google Image search of “AE86 Drift” “AE86 Formula Drift” or “AE86 D1” will bring up thousands of results ranging from hand sketched napkin doodles, to video game screen shots, to competition cars. From the classic D1GP machines of old, some of the lesser known international machines, and to more modern variations of American FD cars, here’s a look at some of our favorites, in no particular order, from around the world.